I missed out on the Arland trilogy of Atelier games during their first go round, making Atelier Ayesha my first plunge back into the franchise since the PS2 era. It’s not for lack of interest; it’s just as my backlog grows, lengthy RPG’s just find themselves buried deeper and deeper in the pile. Making RPG’s portable subsequently makes them more accessible to me, since I can play the game in short bursts on the go. Now that the three games (Rorona, Totori, and Meruru) are available in portable form, I figured it was time to play catch up. Atelier Rorona, while being the first game in the Arland trilogy, was actually the last to be remade on the Vita. Dubbed Atelier Rorona Plus: The Alchemist of Arland, the game is available on both Vita and PS3, with the latter being purchasable as a disc version. While it is amusing that we’re at a point where video game remakes can occur a mere four years after the initial release, there is quite a lot different in this version that may make the double dipping worthwhile. 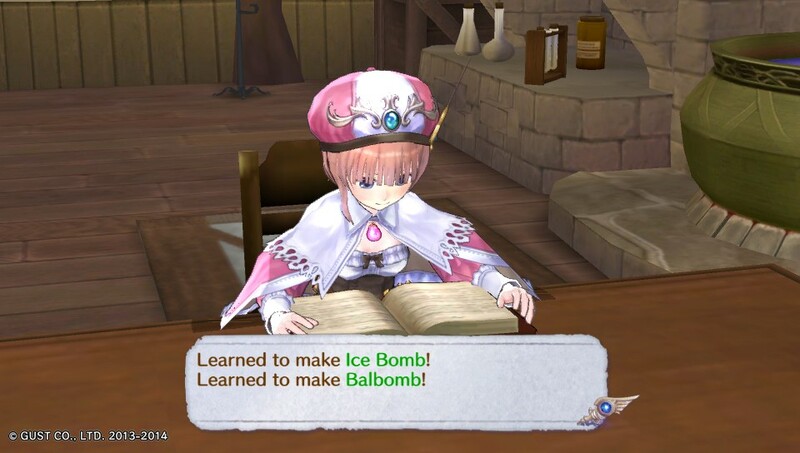 If you’ve never played Atelier Rorona before, it centers around an alchemy lab founded in the kingdom of Arland. Once upon a time, the alchemist who ran it gained infamy by teaching the people of the kingdom how to use the ancient machines founded in the ruins the kingdom was built upon. Now this lab is on the verge of being shuttered for good, and it’s up to Rorolina Frixell (or Rorona, as she’s normally called) to carry out any assignments given by the kingdom to keep the shop open for good. Of course, she doesn’t have to have a go of it on her own. Her master, Astrid, offers sage-like advice while simultaneously loafing about and forcing Rorona to shoulder the burden of keeping the shop open. Her friend Cordelia is a trusted companion that protects her when she leaves town to gather ingredients, plus numerous other citizens lend their aid too (if the price is right). 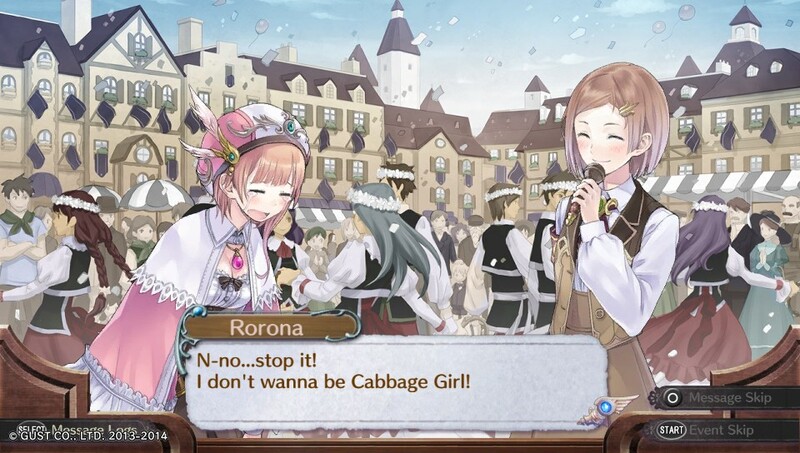 Rorona herself makes a great female protagonist, even if the game goes out of its way sometimes to call her stupid. 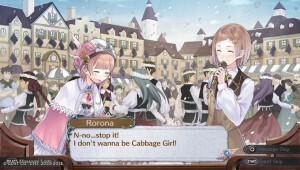 Atelier Rorona‘s premise is incredibly lighthearted, but it’s that very laid back nature that makes it so endearing. As fun as it is to save the world, it’s nice to have an RPG series that can offer something that’s at stake that doesn’t affect the very fabric of the universe. It works well within the context of the game. Every three months in game you will be evaluated for an assignment (for a total of twelve assignments) and your performance of that will not only allow you to progress, but affect the outcome of the game. In fact, there are thirty or so endings to be found, based on a number of factors, such as your allies’ trust level, and the characters are likable enough that it justifies going out of your way to build your friendship with them. Like the other games in the series, the bulk of your time is going to be spent either crafting items or questing for materials. Synthesis occurs at the workshop and you can create any items learned from recipes so long as you have the materials for them. 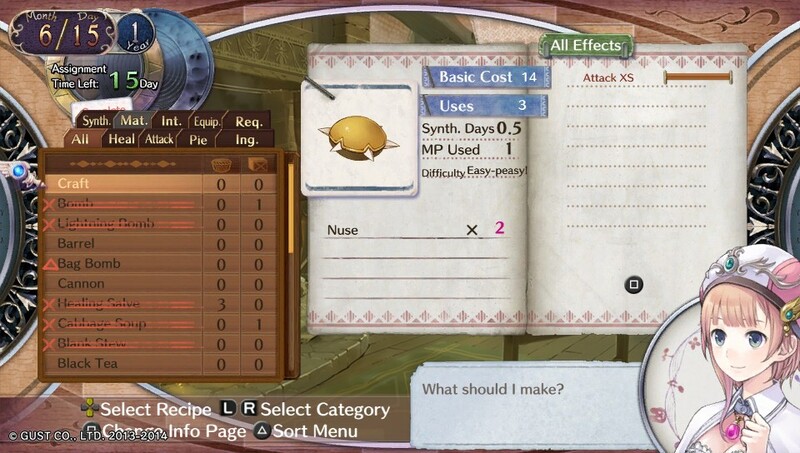 Successful craftsmanship (or unsuccessful) will raise Rorona’s alchemy level so she can tackle more difficult items. Depending on the quality of materials used, the end item might have bonuses applied to it, such as additional healing or elemental resistance. Performing any kind of crafting, as well as moving about the map, passes in-game days. While the game is rather generous in providing enough days to get your main assignment done, if you want to do everything there is to do on the side, you have to be cognizant of the current date. As much as I dislike time constraints in games, this system does still allow a lot of freedom to do what you please. If the completionist in you would rather maximize your time squeezing every last bit of content from the game, you can do that with some careful planning. If you’d prefer to just do the main assignment and sleep for three months straight, you can do that too. The game is as long or short as you want it to be. While equipment is made from items and materials, in much the same way as standard synthesis, it is not made by Rorona. 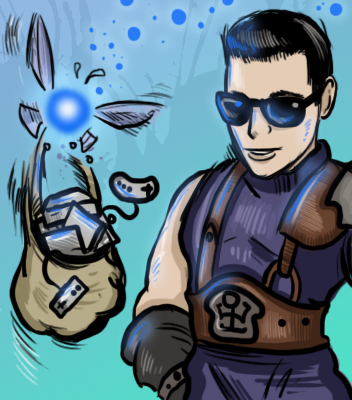 The town blacksmith, Hagel, is more than happy to put together your gear and imbue them with additional stats, based on the quality of the materials you give him to work with. The best part is, you don’t lose any time doing this. If you’re too lazy to build the equipment yourself, you can certainly just buy weapons and armor from him outright, though I must warn you that the majority of it is overpriced garbage. In addition to your main assignments, front quests can be accepted from Esty that involve typical RPG side content fodder. Everything from turning in items to seeking bounties will lead to cash rewards and added popularity. Some jobs will come from your friends in town, and prioritizing those will better your friendship with those characters. The best part about these is a majority involve items that you likely already have sitting in your container, so much of it can be considered easy money or friendship points. If you meet the bonus objectives, you’ll receive tickets that are tradeable towards other items, though I noticed these became less and less useful as time went on, especially since the amount of tickets you end up with goes through the roof. The combat is your standard turn-based affair. You can bring three characters into battle with you, and each one has the option to attack, defend, run, or use skills. Rorona is unique in that she can use items such as salves or bombs, plus a successful connected swing of her wand before the fight will net her the first turn. An assist gauge fills as actions are taken in battle, and when it fills up far enough, Rorona’s comrades will initiate additional attacks or step in front of her to take blows. New in this version is a visual turn order that changes depending on the actions taken in battle, which takes much of the guesswork out of combat. You know exactly who’s going to go next, so you can plan your strategies accordingly. Also, characters have an MP meter now, so rather then sapping health to perform skills and synthesis, you can now do these things without killing yourself. On the topic of new content, the most immediate change that you’ll notice is the improved visuals. For the sake of comparison, I fired up the PS3 edition of the original release, and the difference is night and day. What was once a game filled with PS2 era character models that were run through an HD filter now looks on par with some of the newer releases in the franchise. Battle effects have been improved as well, so the technical flair has been enhanced in every aspect of the game. Not to mention that the game simply shines on the Vita. The music and voice acting seemed as though they were virtually untouched, though given the quality of the existing assets, this doesn’t surprise me. Some new dialogue was recorded for the additional scenes though, and the Japanese language track is still present. One feature that was particularly impressive, and one that I would like to see in RPG’s going forward, is the ability to change the music selection to that of other games in the franchise. For example, you can change the battle music to songs featured in every other game in the Atelier series, including ones that weren’t released outside of Japan. There are also song selections pulled from other titles, such as Cross Edge or Trinity Universe. Even a game as recent as Atelier Escha & Logy made the cut. When you finish the main story, you can unlock a New Game Plus feature that grants access to new party members, additional sequences involving the characters Totori and Meruru, and additional dungeons. New costumes are unlockable to adorn your characters with; some from simply having save data from other games present, while others are exclusive to either the PS3 or Vita versions. Cross compatibility exists too, so if you happen to own both versions of the game, you can transfer save data between the two, and DLC only has to be purchased once. There is no cross buy for the actual game so far as I can tell though. A gardening system has been implemented, where Rorona can plant seeds outside of the workshop that can sprout into new items, leading to more efficient reagent gathering. Crafted objects, such as baskets or stuffed animals, can be used to decorate the inside of the shop and impart stat boosts, not to mention making the place seem like your own. There’s also a time capsule where you can place items inside and, after some time has passed, better items will sprout from it. 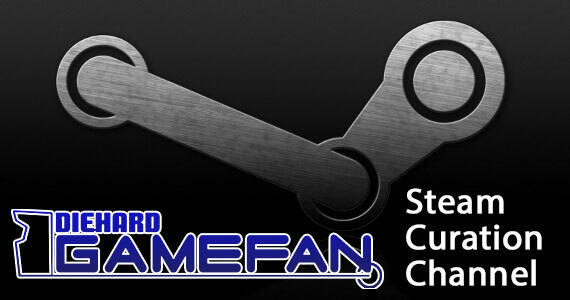 Features seen in later games, like the stamp card that’s filled from completing optional objectives, return here and grant stat boosts, money, and better equipment. 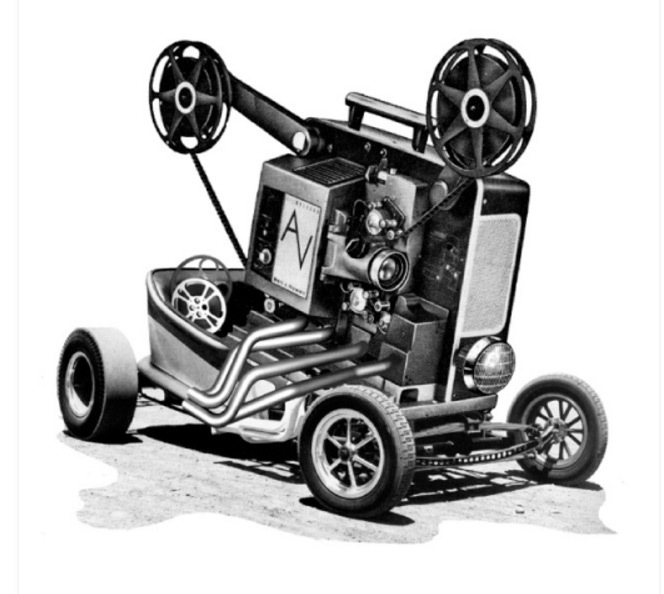 Oh, and let’s not forget about the improved navigation, as hitting the right shoulder button will allow you to select a new locale to journey to instantly. Plus you can save outside of town! If there were one major negative to be found here, it would be the disparity in difficulty between the standard encounters and the “boss” enemies. So long as you are reasonably leveled and upgrade your gear with some regularity, you can rip through the standard enemies without a second thought. This isn’t a big deal to me, since the focus of the game is on the item synthesis, but I found it alarming how quickly some bosses will just tear you to pieces. To be fair, they are optional, but there’s something to be said when you can go from one-shotting every enemy in sight to suddenly being annihilated in one blow yourself. At least the only thing lost is a little time, so you won’t truly see a game over unless you don’t do your assignments. Atelier Rorona Plus is really the double whammy as far as video game re-releases go. There’s enough done to modernize it so that anyone who passed on it the first time can jump right in with ease, while there’s plenty of new content such that anyone who has played it before will find something new to do. It certainly helps that the game in general is just a lot of fun. The story is very easy-going, the characters are likable, and the synthesis system is as addictive as ever. Whether at home or on the go, consider spending some time with Rorona. While the concept of remaking 2010 game in 2014 sounds absurd, I don’t think anyone can argue just how much this game benefits from the added touches. 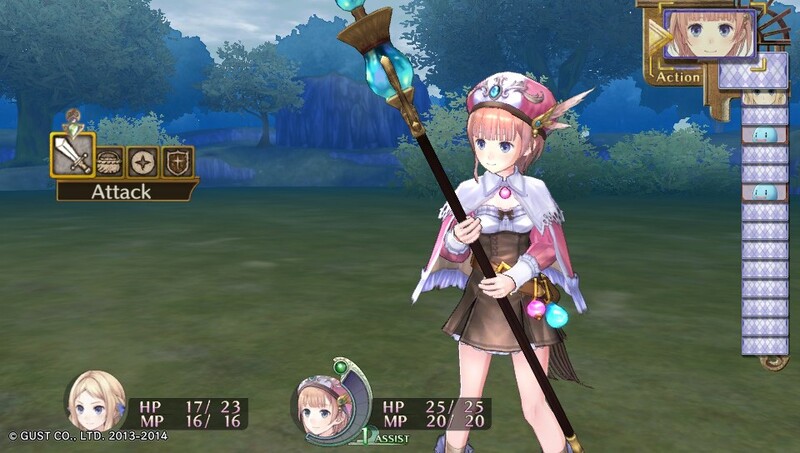 Atelier Rorona Plus: The Alchemist of Arland updates the visuals, adds new dungeons, more playable characters, and both PS3 and Vita editions are cross compatible with each other. The combat and synthesis are also streamlined to more closely mirror newer games in the franchise, making it much easier to enjoy the world and its likable cast of characters. Just keep in mind that if you’re only used to playing JRPG’s with grandiose save the world plots, this is going to be a huge departure. 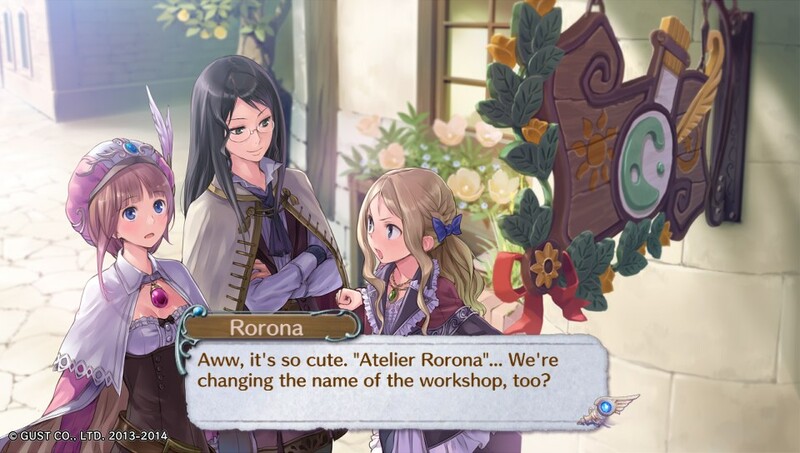 Still, if you’ve been holding out on Atelier games until now, this is as good a jumping on point as any.